JEE-Main – Joint Entrance Examination-Main which was formerly known as AIEEE – All India Engineering Entrance Examination is a national level competitive test to take the admission in various undergraduate courses like B.Tech/ B.E. /B.Arch. in their interested choice of institute. The Exam makes a hiss sound in every 12th passed students planning to join engineering. JEE Main exams are conducted twice a year in the month of Jan and April by NTA that is National Testing Agency which has to be taken online only also there is free coaching given by NTA to JEE Main candidates. Candidates opting for B.Tech/BE has to appear for paper 1 constituting of Physics, mathematics and Chemistry. Candidates opting for B.Arch. will have to appear for paper 2 that is drawing, Mathematics and aptitude. JEE Main exam duration is 3 hours for each paper where in successive years maximum three attempts will be given. From the latest study nearly 2,31,024 candidates were eligible to take JEE-Advanced by clearing JEE Main as candidates clearing JEE Main can only appear for JEE-Advanced. If students fail to clear JEE-Advanced keeping JEE Main exam as base candidates can apply for the best engineering colleges in India. JEE Advanced exams are used as base admission test by 23 IITs and other universities like IISERs, Rajiv Gandhi Institute of Petroleum Technology and premier IISc. JEE-Advanced will be conducted in one of the seven zonal that is IIT Delhi, IIT Bombay, IIT Roorkee, IIT Karagpur, IIT Kanpur, IIT Guwahati, IIT Madras. Other state government or central government funded education institutions across the country – in total 19. JEE Main 2020 exam is conducted as computer based test that is only online mode. 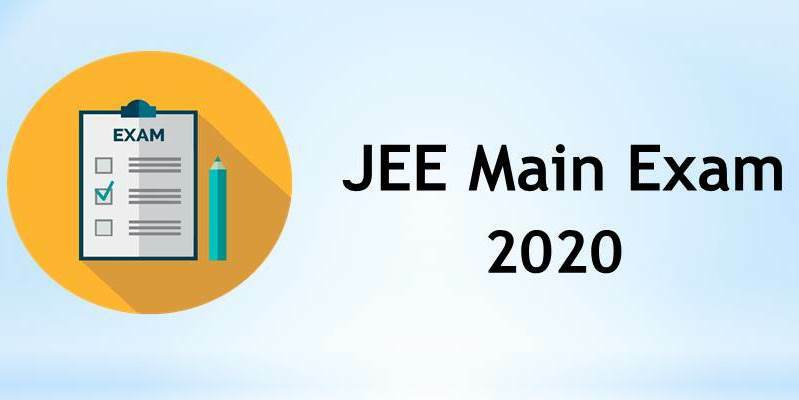 JEE Main is held in the month of Jan 2020 and April 2020 that is twice a year. As these many years CBSE use to conduct JEE Main exams now it is been taken over by NTA. The application fee for different categories has reduced. There is no age limit for candidates to apply irrespective of their age they can apply. Also number of test cities in India has been increased to 264. Across the country there are 2,697 test practice centres are established to help students practice for the exams. JEE Main syllabus, language and the pattern remains the same. Candidates after submitting the JEE Main application will not be able to change the test centre. Duration of the test 3 hours and the number of times a person can appear for the test 3 attempts will remain the same. Keeping Physics, Chemistry and Mathematics as main subject’s candidates should have cleared 12th class with compulsory 5 subjects. For B.Arch. candidate’s mathematics should be their first priority and must have 50% marks in total. Candidates appearing for 2020 JEE Main their date of birth should be on or after October 1st 1993. Diploma holders can also apply for JEE Main but they should have either completed or pursuing last year of diploma with minimum 50% aggregate in relevant subjects and candidates with eligible score in JEE Main can apply for JEE Advanced and get to IITs but not to NITs and CFTIs with JEE Main score. There are no particular conditions apart from regular criteria’s that candidate must have 75% aggregate in 5 subjects regardless of their attempts. Those who have eligibility to appear for JEE Main exam can sit in the month of Jan and April. The application form can be filled through online mode only and should be completed in one-go. Step 1: Fill the application form by entering all the valid details nationality, eligibility, class 12th from which state, Aadhar card number, Identification Type, Date of Birth, candidates name, Security pin and Gender. Step 2: Upload the correct documents by scanning, uploading clear photographs and signature. Step 3: Fee payment can be done via Debit/ Credit Card/ Paytm/ Net Banking/ SBI Buddy Wallet/ Cash Cards also e-challan is available to make the payment from Canara Bank, Syndicate Bank or ICICI Bank. Slot booking is nothing but candidates have to book their slot that is DATE, TIME AND TEST CENTRE according to your preference which is based on first come first serve as it is available for limited period of time. This is facilitated only to the online examination and can be booked while filling up the application form. Also the facility is provided only for paper 1 (B.Tech/BE) JEE Main. It is normal to make mistakes and the board provides the application correction to make it correct also it is just one time facility to correct the form. The application correction window will be open for whole October month 2019 for the Jan session and for April session it is in the month of Feb.
As the corrections have to be done through online mode only there will be additional amount that has to be paid also should be done before the last date of submission. JEE Physics by D.C. Pandey. Calm your mind before you start to plan, first make sure you know the entire details of exam pattern, syllabus, weightage and marking scheme. While preparing for the exam keep some sticky notes so that you can note down all the important concepts, points and formulas and stick it on wall to revise these on a regular base. Get to know the best authors of each subject keep study materials and take some guidance from qualified candidates and experienced or expert persons. It is better to solve previous year’s exam/sample papers to get a glimpse of question paper, the type of questions that comes and to know the exam swing. Key to success is self-study never rely on just coaching if you have joined any and set your mind to study on a daily basis. There is a proverb practice makes man perfect include this in your journey and keep practising or focus on all the important and weaker concepts and become a pro in all the areas. You can find different methods of explaining things in different books which can make you understand in a better way so choose for the best authors and have quite various books/study materials. Basically health is an important criterion if you are mentally strong and healthy you can memorise the study and perform well. Make sure you get sound sleep and have a proper diet. JEE Main has two papers Paper – I is for B.Tech and BE while Paper II is for B.Planning and B.Architecture. The exams of both are held on different dates and even the results will be released separately. Twice a year JEE Main exams will be conducted in the month of January and April. Candidates can appear either once or both the times where one of the better score will be considered. In paper 1 there would be 90 questions and is objective based and the paper 2 will contain 82 questions which are also objective based but then drawing test paper will be of subjective type. The question paper will be available in English, Gujarathi, Hindi and few other state languages. The duration of the complete paper is for 3 hours provided an extra hour for candidates with 40% disability. Candidates with goals and passion joining India’s top institutes or their dream universities JEE Main exam plays a vital role. To clear these entrance exams it is important to know the syllabus and the weightage of the same would be helpful and effective for students to get prepared accordingly and crack. Below given is the syllabus and weightage of each different subject. It is common to experience butterflies in the stomach during any examinations so taking mock test helps candidates get an idea of online exam pattern so that candidates can be confident enough and get out being feared or scared. There are number of practice centres and candidates need to register to avail the facility it is just to note that candidates are aware of the exam pattern, to answer the questions overall to get a glimpse of it. It is breath-taking that they have started with TPCs to facilitate candidates to practice and enable them the exam pattern before they appear for the exams. Aspirants will be aware of managing the time the exam pattern and the process taking place. Before appearing for these mock tests candidates must register for JEE Main 2020 mock test where the registration is done on weekly basis. JEE Main cut-off will be released online by NTA. Candidates must have secured minimum cut-off marks to take admissions in prestigious universities. Below mentioned is the cut-off based on various categories. It is Mandatory to carry admit card and one photo ID proof to the JEE Main exam and candidates have to download it online by entering application number and password which will be released after the registration process is completed. Admit card and hall ticket are same. Visit the official website click on JEE Main Admit card. Enter Application number and password/date of birth then submit. The link will be displayed on the screen to download the admit card use the same to download. PwD certificate have to be carried by the candidates belonging to same in the prescribed format. A valid ID Proof – Driving License/ Passport/ PAN Card/ Voter ID or Ration card/Aadhaar Enrolment number. The admit card is an identity document used for verification of candidates identity so even after the examination the admit card is useful. Keep it safe until the admissions are concluded because it will be required during the counselling.